The device is designed for automatic vent cutting. The machine is placed as the first one in the evisceration line, before the abdominal wall cutter. The device is manufactured with shackle pitch of either 6 inch or 8 inch. Frame, which is the base of the machine. The frame also includes a drip tray, guides and height adjustment system. A drum is seated upon the frame, which can be freely moved up and down, as needed. Drive unit, consisting of the track curve and drive wheel. The drive wheel is driven by overhead conveyor. 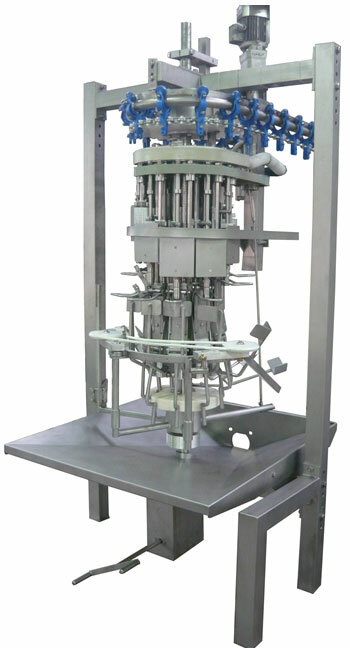 The device is of carousel type, driven by overhead conveyor. The cutter assembly, with a blade and a vacuum probe, provides a pre-set cut depth depending on bird size.